The Arrive team strives to make each volunteer experience unique. With that in mind, we provide information about what sorts of safari (“excursions” in Swahili) opportunities are available to our volunteers. any safari you go on will support the local economy, and with each adventure you will see the wild side of east Africa! Arrive is proud to offer extensive volunteer opportunities and give visitors access to incredible excursions through the beautiful country of Kenya. Description: We recommend the 7 day Machame Route to climb Africa’s tallest mountain, Mt. Kilimanjaro. 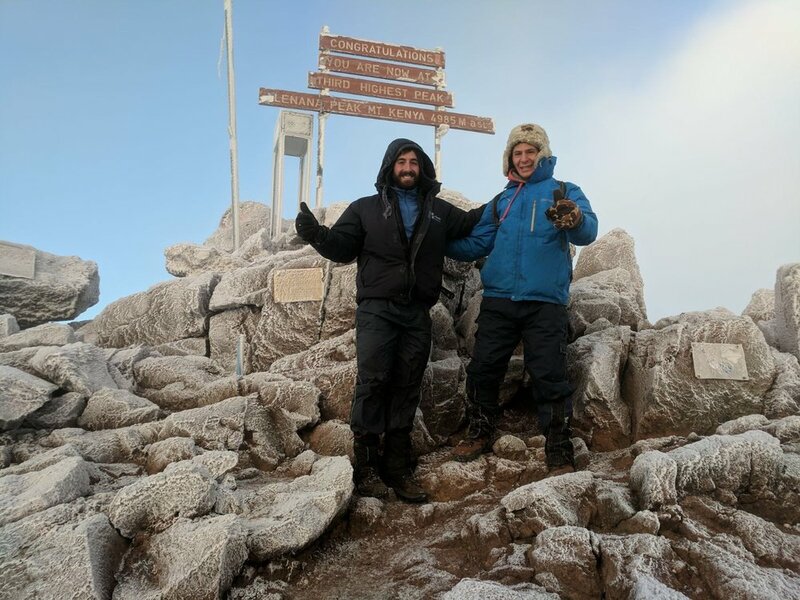 Experienced mountain guide Baraka Dalali (barakamkami@yahoo.com) of Kilimanjaro Nature Tours has guided many past Arrive volunteers to the summit. The trek takes climbers to campsites and through five separate climate zones: rainforest, moorland, alpine desert, and artic. The summit sits at 19,341 on the roof of Africa. Contact us for information regarding group discounts, gear requirements, and training schedules. Description: We recommend the 4 day Chogoria Route to climb Kenya’s tallest mountain, and Africa’s second tallest mountain, Mt. Kenya. This beautiful trail passes by alpine lakes and streams perfect for fishing. There are three peaks; the two highest require technical rock climbing skills (and in increase in the price) while the third highest (Lenana Peak, 16,355 ft.) is more easily accessible. Contact us for information regarding group discounts, gear requirements, and training schedules. Description: A must-see for any traveler to Kenya. Ranked the best safari park in the world, Maasai Mara hosts all of the Big 5: lions, African elephants, Cape buffalo, African leopard, and rhinoceros. You will also see hippopotamus, cheetahs, hyenas, giraffes, ostriches, baboons, zebra, warthogs, wildebeests, vultures, gazelle, impala, and many more animals. Come in August to witness the 8th Wonder of the World – the Great Wildebeest Migration from the Serengeti Plains in Tanzania into Maasai Mara National Reserve, Kenya. Description: Lake Victoria is the world’s second largest lake and borders many East African countries. 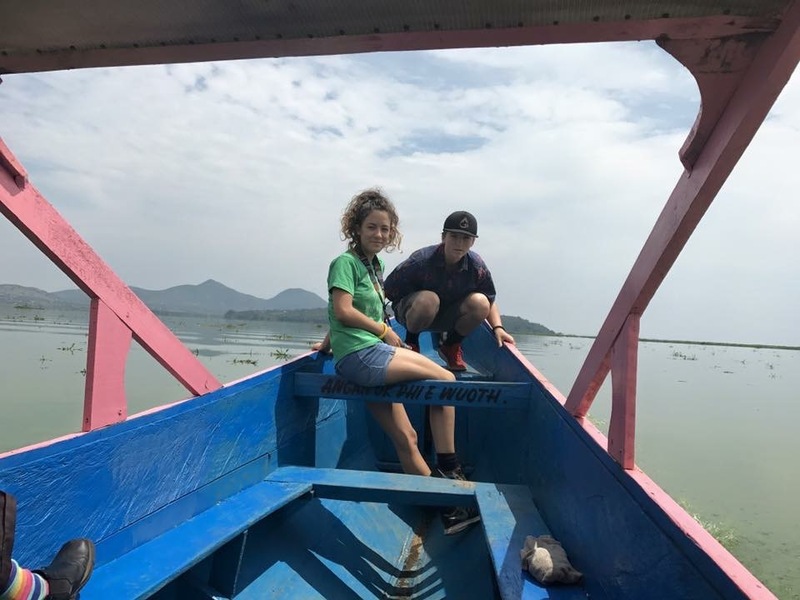 Exploring the lake via traditional boat, you will be taken to a peninsula where you can hike and explore the surrounding rural areas. Don’t be surprised if you see monkeys! While food is not included, Homa Bay is known for the fresh tilapia which are caught daily and fried for a perfect lunch. Description: One of the most popular experiences which Arrive has the pleasure of offering to volunteers, take part in traditional Maasai traditions like spear throwing, herding livestock, nighttime hunting, and learning about Maasai culture. One night you will sleep in a manyatta (traditional Maasai hut), and the other night you will camp in the Great Rif Valley under the stars. Explore the famous caves on the top of Mt. Suswa, where the Maasai believe there God lives. Many volunteers choose to combine this excursion with the Hells Gate National Park excursion. Description: Located relatively near the Authentic Maasai Experience, Hells Gate National Park offers epic scenery. Hike to Pride Rock, which inspired “The Lion King.” Hells Gate is the only national park in Kenya which allows for bicycle riding; bike past grazing giraffes and zebras on the way to the gorge (in which Mufasa got trampled by a stampede of wildebeests). Hike down into and through the gorge and visit natural hot springs and vertical rock walls. Rock climbing is also available for the more adventurous folk. Because the park is relatively close to the Authentic Maasai Experience (see above), most volunteers choose to group these two trips together to reduce travel time and cost. Description: The Kisii City Tour will show you the true life of street children in Kisii. This tour is not for the faint of heart; you will see heartbreaking and dire conditions, homeless children sniffing toxic glue and living in dumpsters, and be taken through the poorest parts of the city. A highly populated and congested town, Kisii is unforgettable in both interesting and heartbreaking ways. We highly recommend this tour so that you can experience what life is like for a street child in Kenya, and compare that to the lives that the Arrive former street children live today. Description: The tour starts in the morning from 11am – 12pm at the David Sheldrick Elephant Orphanage. From there you proceed to the Giraffe Center to feed giraffes. After lunch, you will be taken through Africa’s largest urban slum, Kibera, to see life in the slums. Finally, your tour will conclude at Nairobi City Park where you can feed the hundreds of monkeys bananas and peanuts right from your hand. Description: Kisumu, known for its location on the shores of Lake Victoria, is Kenya’s third largest city. Possible activities include: exploring the city, the Kisumu Museum, Kenya Wildlife Impala Park, walking around Kenyatta Sports Ground, and more.